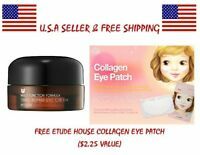 isellitonlineusa has no other items for sale. Have used many well know products throughout my senior years, this works very well for me after 12 days. Used every day and from first day it was not greasy, or any overwhelming scents. My skin shows and feels smooth. My laugh lines seemed more prominent after a week but I am guessing it was slowly lifting my cheeks areas. My jowls still needs to be lifted but guess at my age it is what it is. My neck however is slowing looking better each day. But Great results takes time. (Any cream that works immediately -is to me, a bit scary as to what makes it work overnight and then not work over time. I am happy with results, my photos taken before and after 12 days does show good results. Best of all its natural and made in USA. 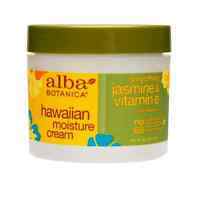 I have been purchasing this cream in stores and love the moisturizer for dry skin. The company changed the formulation. The new formulation does not feel nearly as good on my skin. I am going to look for a new product after I use my supply that I have purchased. 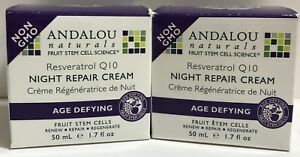 Andalou is a wonderfully smooth and creamy night facial cream. It is just delightful! Your face actually looks and feels great upon awakening in the morning! when I put on my face feels instant obsorbe to my skin, very nice.